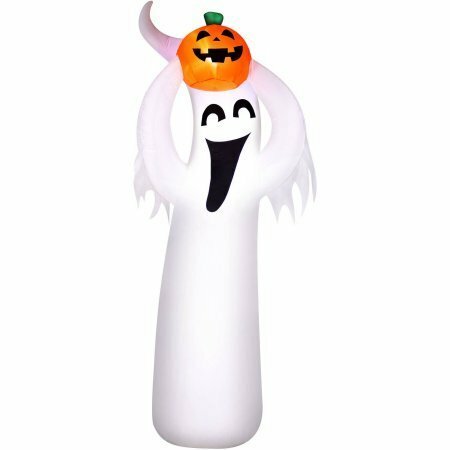 The Airblown Inflatable Ghastly Ghost Halloween Decoration is a fun and festive addition to your front yard or porch. It depicts a wailing spirit with its arms outstretched, and lights up to greet trick-or-treaters with its spooky expression. Self-inflating, this Airblown Halloween Inflatable Ghost is easy to assemble and set up. If you have any questions about this product by Starfish Enterprise, contact us by completing and submitting the form below. If you are looking for a specif part number, please include it with your message.